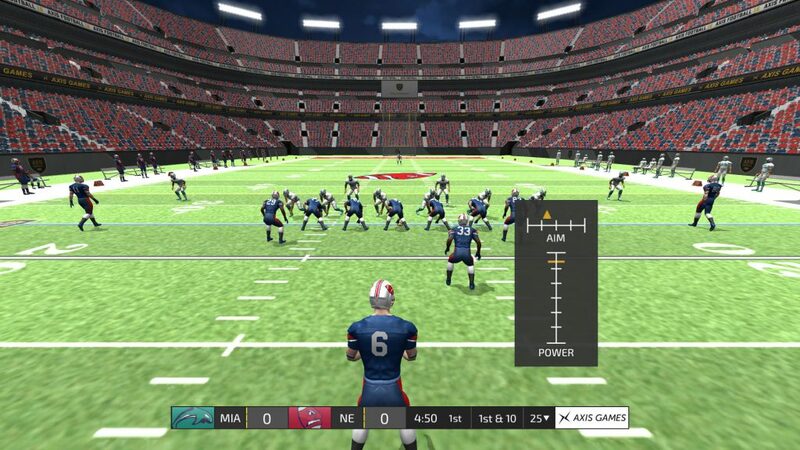 Nine years ago, EA Sports’ Madden franchise abandoned PC gamers. Today, Axis Games is trying to fill the void left by the mega-developer. 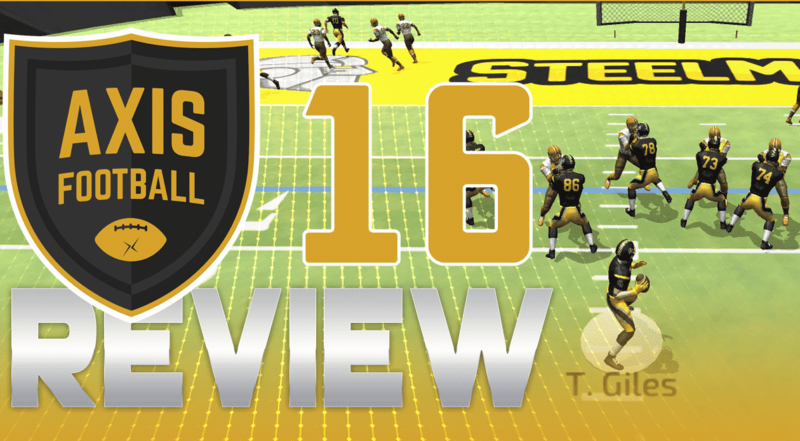 Their latest release, Axis Football 2016, may do just that. The new passing mechanics bring you control like never before. While AF16’s passing system does have a small learning curve, mastering the controls allows you to experience the unadulterated joy that comes from completing passes predicated on skill and not simple button pressing. Unfortunately, the receiver’s inability to catch the ball in stride (or at all for that matter) hampers that feeling all-too-often. The offensive linemen, on the other hand, are much too dominant, rendering the rush a complete non-factor. At times, the quarterback could have nearly ten seconds to make a decision, making finding open receivers the easiest part of the game. 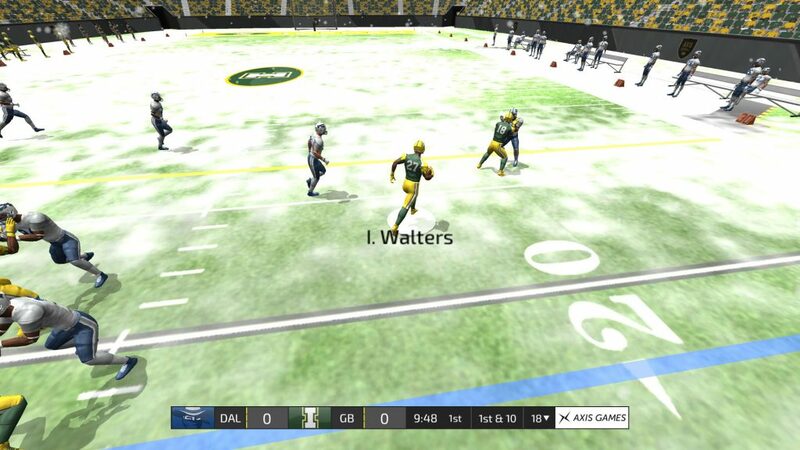 The new ground game features make running the ball a viable option. Although the passing game can be a bit wonky, the running game has improved drastically over last year’s iteration. Before, it was nearly impossible to run the ball from the line a scrimmage. Thankfully, the added ability to juke, spin, and dive turns running the ball into a viable option. Now, the player has complete control over the runner, no longer leaving broken tackles up to chance. Unfortunately, playing defense feels like a chore. Interceptions remain left up to chance. Tackling involves little more than running into your opponent. And it’s cumbersome to cycle through every player on the defense, instead of being able to point and click on the player you want to control. Kickoffs, field-goals, and punts couldn’t be more simple. Special teams play saw the least amount of change this year. Kicking and punting utilize a simple and effective two-click system, and kick-returns occur seldom enough one can barely notice that the camera is facing the wrong direction. But be forewarned. There are no touchbacks, only touchdowns for the opposing team. 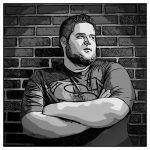 The revamped playbooks are, perhaps, the most subtly effective change made to the entire game. Each team has there own set of 56 plays on offense and defense, affording the player many more choices on both sides of the ball compared to last year’s game. The graphics have been largely overhauled this year. The graphics featured in last year’s title caused players to stay away as well. Let’s face it. It was downright ugly. Luckily, Axis Games massively upgraded the graphics, making the game look less like something you would play at an arcade and more like something you would expect to see on a console. 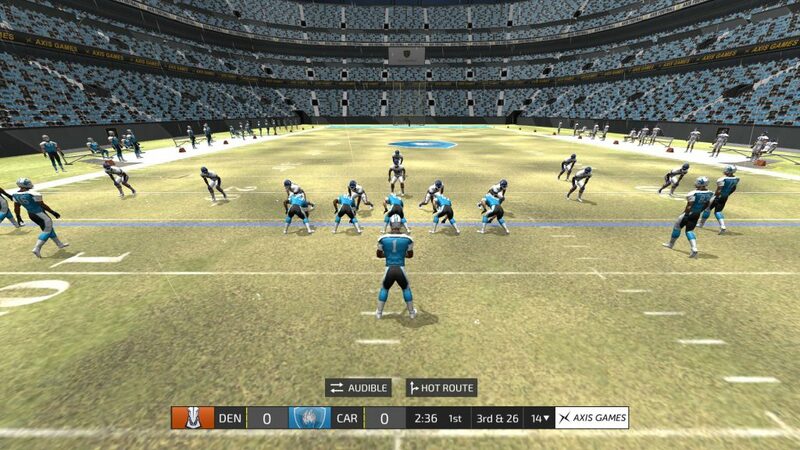 They have also added over 100 new animations, cheerleaders, crowd models, and team specific, on-field graphics. Best of all, you no longer have to endure the voice of the worst announcer in sports gaming history. The new announcer and quarterback voices do a nice job of adding to the experience, instead of detracting from it. 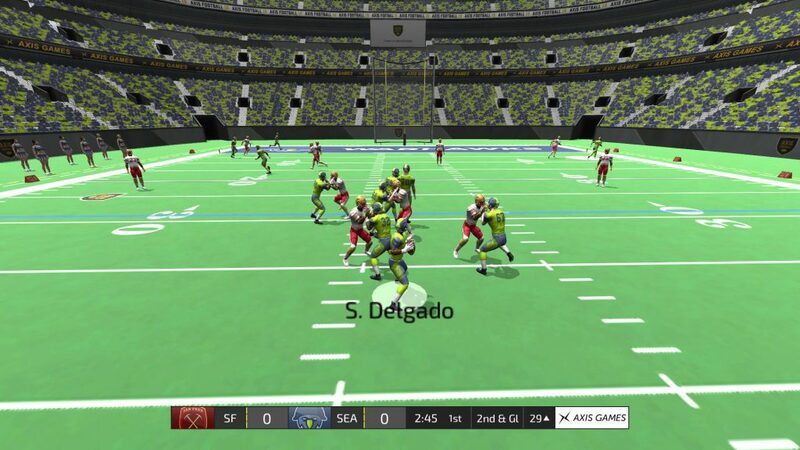 Axis Football 2016 is a solid pro football simulator and manages to place a Band-Aid over the wound left by Madden’s exit from the PC, but it is still far too unrefined to hold a player’s long-term attention. The gameplay is tantalizing at first, but becomes cumbersome during extended gaming sessions. AF16 does show promise for future releases, but we’re not talking about future releases. We are talking about now, and currently, it is just a placeholder that will still leave pc gamers craving something more.